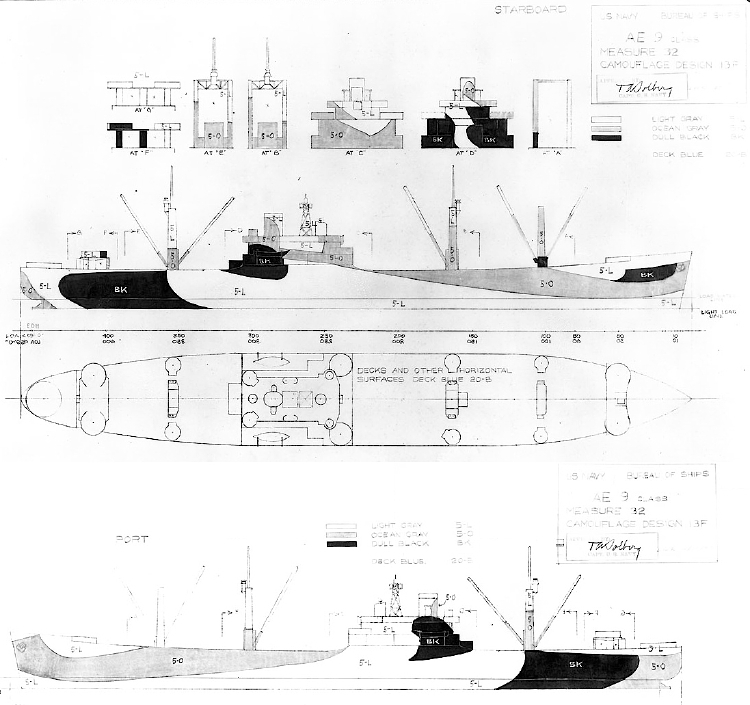 The drawing for Design 32/13F for the USS Mazama (AE-9) ammunition ship using the C2 maritime hull drawn on June 20, 1944. 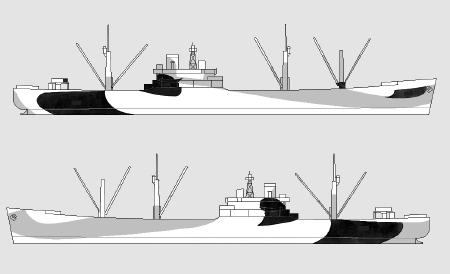 This drawing specifies vertical colors of light gray (5-L), ocean gray (5-O), and dull black (BK) with the horizontal color of deck blue (20-B). This drawing also has two waterlines. This is the only Design 13F drawing yet found. Original drawing source: NARA 80-G-176503 and 80-G-176504.